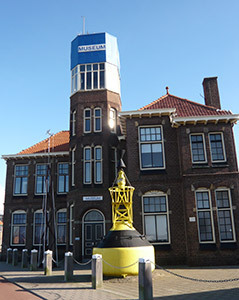 Augusta hotel & restaurant is located in a characteristic part of IJmuiden, within walking distance of the North sea locks, the harbour with its fish market, SHIP and the cruise terminal. In the vicinity you easily can visit the sandy beach with its beautiful dunes. Experience the beach while enjoying all the beauty the area has to offer. Interesting cities near IJmuiden are ancient Haarlem and authentic Alkmaar. Just a 15-20 minutes drive from Augusta offer you 2 historic town centers with many shops and several museums to visit. Amsterdam is a 20 car minutes drive, or can be reached by public transport. For a stayover The Felison Cruise Terminal and the DFDS ferry to Newcastle are only a few minutes from the hotel and easy to be reached. Bikes can be rented. For more information please complete and send the contact form or call +31 (0)255 514 217. Every day, dozens of professionals work hard at the largest sea lock of the world in IJmuiden. How is this huge construction project going on and what else is there to do in and around the North Sea Channel? 5 minutes by car from Augusta hotel & restaurant. Information: +31 (0)255 516 254 . In the exhibition, the entire lock complex is at your feet. The scale has been adjusted so that you can walk through the locks. You’ll see the locks and the southern, northern and medieval locks. Centrally located in the complex lies the big new sea lock. In one place you can even climb the quay so that you can view the entire complex from above. Just 8 minutes walk from Augusta hotel & restaurant. Open at Wednesday-, Saturday- and Sunday afternoons from 13.00-17.00 o’clock. Information: +31 (0)255 538 007. The Fishery school, with stunning views on the fishery harbour, is situated in the former school for shipping education. Here you can see and experience everything in the field of port and fishing. Only a 3 minutes walk from Augusta Hotel & Restaurant. Available every weekend from March to November and daily from June up to September. Embarking at 14.00 and 16.00 o’clock. Information: +31 (0)255 511 676. 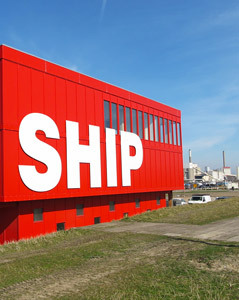 The IJmuiden Cruise Company gives you the opportunity to discover the activities in the industrious harbour of IJmuiden and the North Sea Channel. Only a 2 minutes walk from Augusta hotel & restaurant. Open at Monday up to Friday, from early mornings up to 15.00 hours, free from charge. In the early mornings (especially at Monday and Friday) it’s interesting to visit the live auction at the fresh fish market. 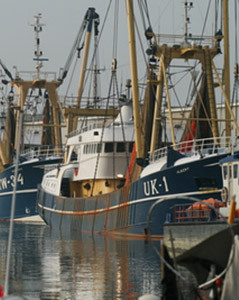 You can experience the actual trade of fresh catch of the day, see the variety of fish caught in the North Sea and its preparation for the consumers and retail. Probably several merchants offer their fresh catch to you. About 10 minutes by car from Augusta hotel & restaurant. Open all day (except Saturday) from van 13.00 to 17.00 o’clock. Information: +31 (0)244 536 726. The Pieter Vermeulen Museum is a museum with specific accents on the natural environment of the coastal area. Information: +31 (0)251 495 252. 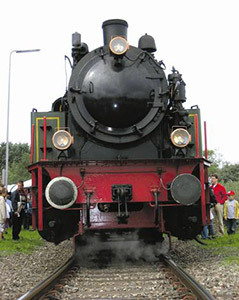 The nostalgic steam train drives around the industrial vicinity of the Tata Steel company (formerly known as Hoogovens and Corus).